Oda is a light reservoir. Bernd and Hilla Becher’s photographs of industrial water towers were the main source of inspiration for this unusual shape. 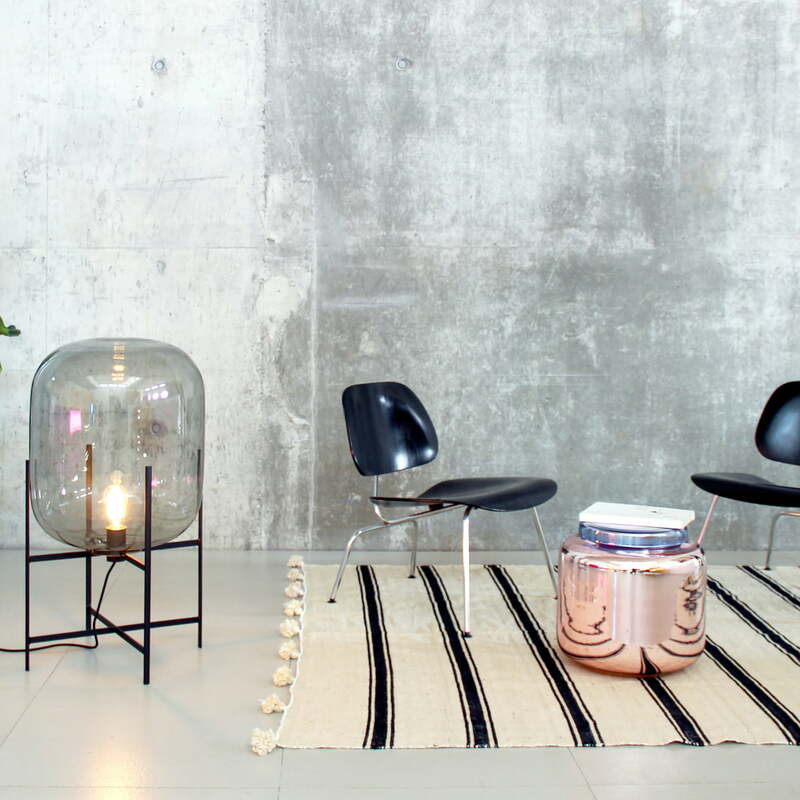 From there, a glass light balloon with industrial charm was created. 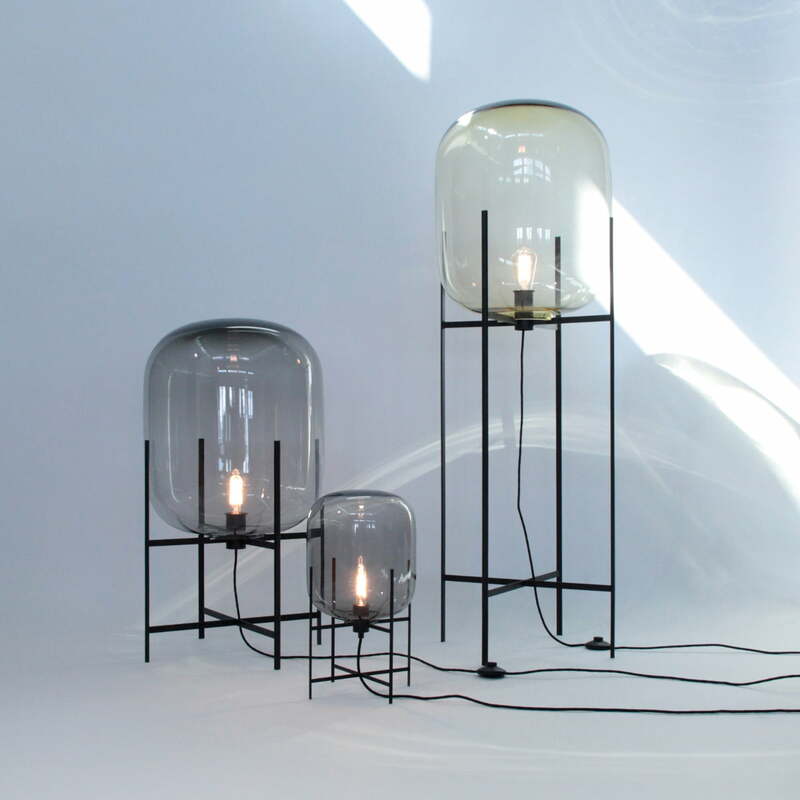 The hand-blown tinted glass body of the Pulpo Oda lamp is balanced on a simple and elegant metal base. The unique style ensures that the Oda lamps stands out solitarily and is also a decorative eye-catcher in large rooms. 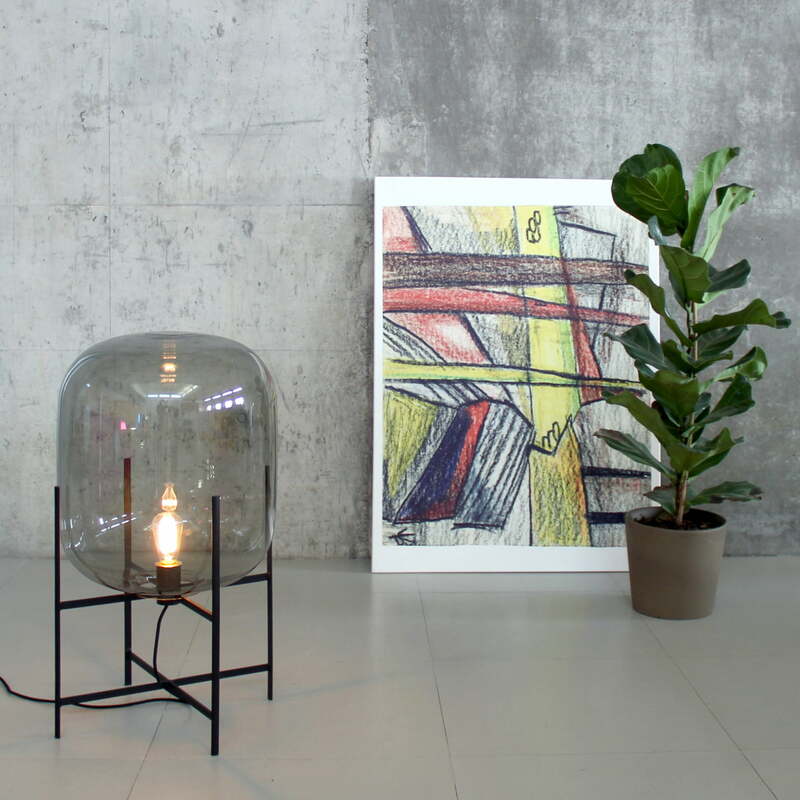 The lamp was designed by Sebastian Herkner in three sizes so that it offers versatile usages from the desk to the living room. 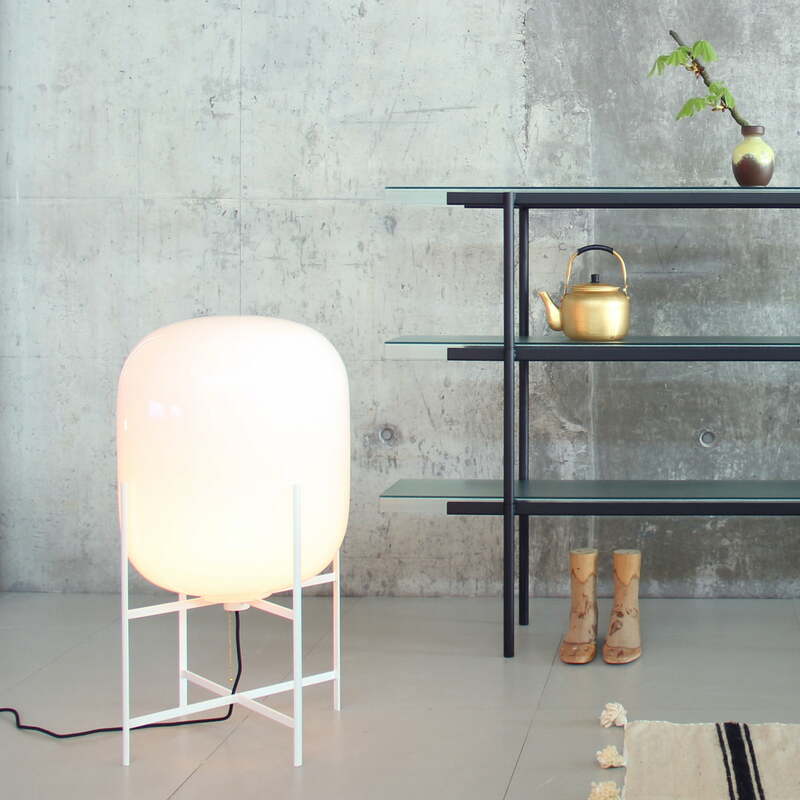 With its 4 m long cable, the lamp is highly flexible and can be placed as desired. Upon request, the Pulpa Oda is available in further sizes and colours, looking airy, weightless and iconic with the transparent shades. Please note our information on disposal.